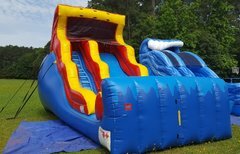 All 4 Fun Rentals offers the best inflatable dry slide rentals in Huntsville! Our slides are a great attraction for your next party or event. 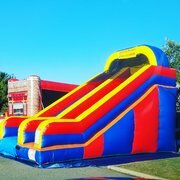 Perfect for church events such as vacation bible schools, company picnics, birthday parties, school field days or even corporate events, our inflatable slides will have your children smiling and sliding for hours. Our dry slides can be used as water slides as well, by booking on our water slide page.